The species of wood you choose for your cabinet doors will affect the final appearance of your kitchen cabinets or bathroom vanity. Each type of wood has unique natural characteristics that add to the charm of your home. 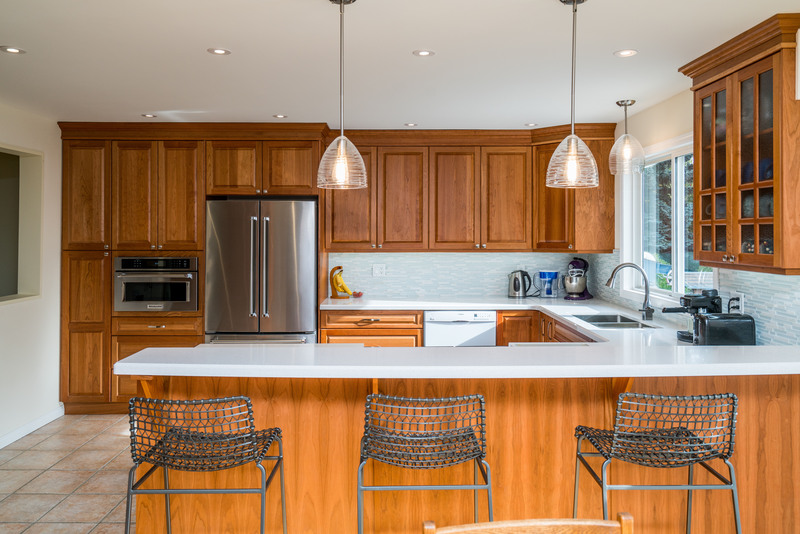 Learn a little about the differences between the wood species that we offer, then talk your choices over with one of our highly experienced kitchen designers. They’ll help you understand if what you want to accomplish will work with the wood of your choice. Oak is available in both red oak and white oak. Both are durable hardwoods with pronounced grain patterns. Red oak was very popular in past decades and gives a more traditional look, while white oak, shown in the door on the left, is a more modern take on the wood. Note: This white oak door is finished with a stain. 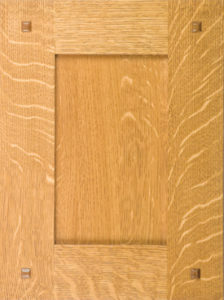 Maple is a medium to hard wood with a light colour and a subtle grain. Due to its smooth finish, it takes stains very well and is typically chosen for the even effect that can be produced. 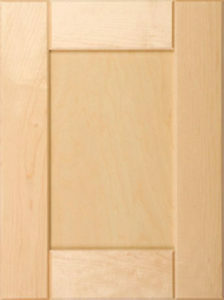 If you’re looking for uniformity in your cabinets, then maple is the best option for you. 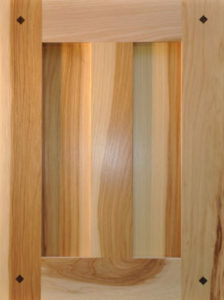 Note: This maple door is finished in clear lacquer. Hickory is one of the strongest woods; with a striking grain and variety of colors which are amplified by natural finishes, this wood makes a great choice for custom cabinets. No two doors will be the same in this wood. 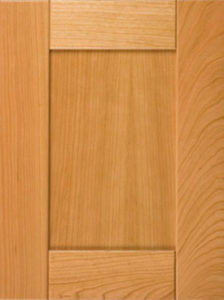 Note: This hickory door is finished in clear lacquer. Stop by our showroom to see a hickory kitchen with a gorgeous rich brown stain! Cherry tends to have a naturally even color and its smooth grain makes for easy staining. It’s durable enough to resist blemishes from use but will darken in color from exposure to the sun over time. Note: This cherry door is finished in clear lacquer. Stop by our showroom to see a natural cherry kitchen! Walnut is a durable wood that has a beautiful, fine grain suitable for finishes; this will help provide uniformity for its often-multi-colored look, which will also lighten over time. With the expense and natural beauty of Walnut, you may elect for a natural-finish to highlight this. 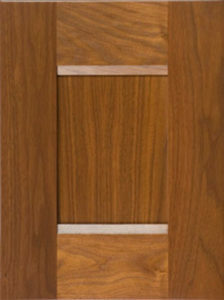 Note: This walnut door is finished with a stain.